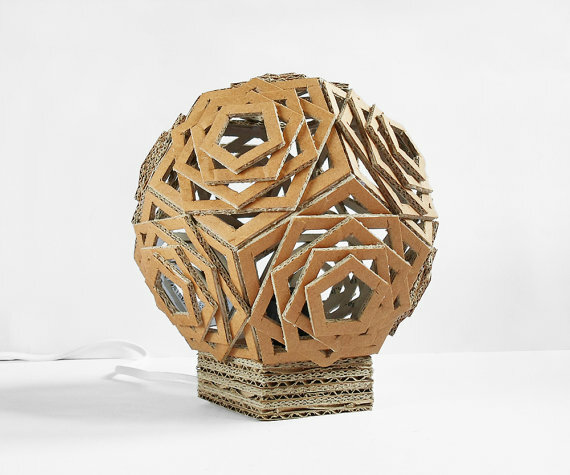 Armed with a clerical knife and glue, you can make a pretty and very unusual table lamp from thin cardboard. First, pentagonal blanks are prepared (cut from cardboard according to a pre-made stencil) and glued together, as shown in the photo. 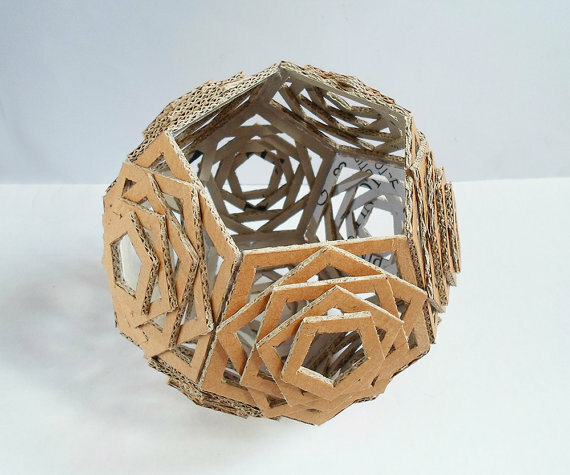 Next, again from the cardboard cutPentagons with a round hole in the middle (for the diameter of the lamp holder) and glued together. 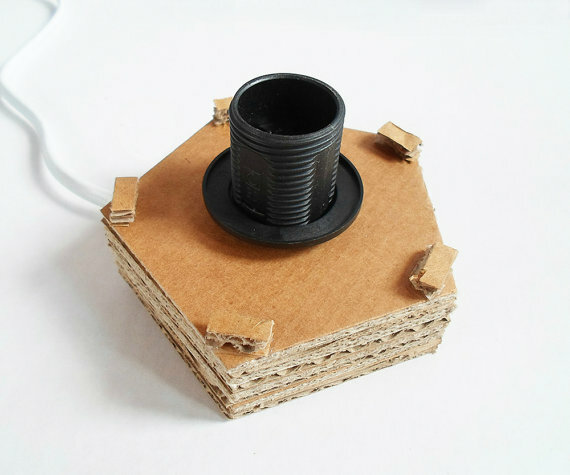 After they screw in a cartridge with a wire and a light bulb, and also paste 5 small pieces of cardboard, which will serve as a fastener (they will be worn top part). Well, the last thing is the combination of parts into a single whole. When the bulb burns out, the upper part is removed and replaced. 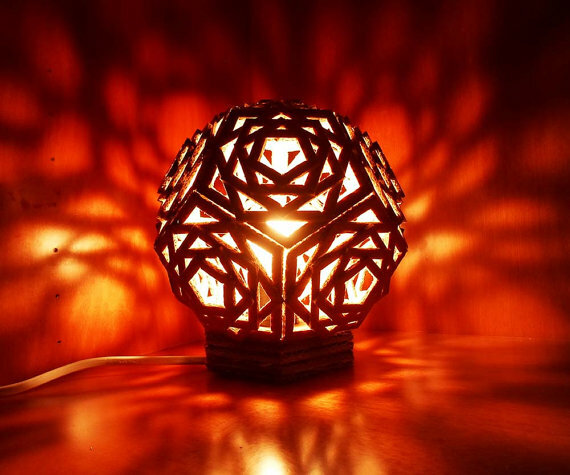 Opinion of the Editorial Board: The lamp has turned out quite nice, but the cardboard remains a cardboard, appearance at it is not especially attractive. Therefore it makes sense to somehow disguise it, for example, paint it with paint. On the nuances of painting cardboard, well written here, we recommend reading, if you still want to paint the lamp.